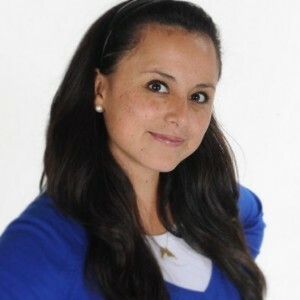 Abigail Navarro (Herzl) is a very proud Mexican, passionate Registered Dietitian residing in Israel since 2011.She graduated from Universidad Iberoamericana (Mexico City, Mexico) with a bachelor of Nutrition and Food Science degree. She later studied a master’s degree in Nutritional Sciences at the Hebrew University of Jerusalem (Rehovot, Israel). She is currently working for the Tel Aviv University/ Beilinson Hospital, Rabin Medical Center coordinating a research project in meal presentation at a hospital setting. In addition, she collaborates as conference coordination in topics in nutrition at the Schneider Children's Medical Center of Israel. Abi’s previous roles include guiding groups of women to improve their and their families’ lifestyles, contributing to the field of Nutrition Education. She has also collaborated with distinguished scientists in the area of nutrition. She has been an active member of the AODA since 2012, now she is serving as a Student Outreach Co-chair of the same affiliation. Abigail is a member of the Israeli Dietetic Association, the European Society of Clinical Nutrition and Metabolism (ESPEN) and the Academy of Nutrition and Dietetics.